Old Timers Baseball or Baseballs Over-The-Hill-Gang just simply cannot outgrow their love of the game. These are the baseball players who have lived and breathed for that next baseball-game and are truly baseball winners. Baseball Players may grow older and some think bolder but the old siren call of summertime and baseball is in these over the hill baseball gang players blood. You might say these players are an reincarnation of the "oldies but goodies." Be it song, dance or vintage-baseball the old timers baseball over-the-hill-gang still think they are the cats pajamas and could jump a pickett fence. Never be guilty of thinking these ole boys are washed up and cannot show you a thing or two about how to play the game. They will turn a double play hit ball into a double play slick as a button right before your eyes. The thing you might note is these fellers will do their thing playing and never even break a sweat. The flawless smooth movements will make plays look so routine and effortless. Hard hitting, hard running, strong as an ox, fleet footed as an impala has come and gone. Old codger, slowed up and feeling fit as a fiddle, still thinks he has a game or two left. Folks it's all about Old Timers Baseball and the love of the game and the competition. These old geezers play the game with gloves which look like oversized pancakes flat as a flitter and stiff as a board but folks what you see is vintage-baseball. The game of baseball to these gents is not only the game they love it is a way of life it lives and breathes within their very souls. This is Old Timers Baseball at its finest hour the zenith of sports play. Now, as so many of these sandlot heroes are approaching retirement and looking forward to the life of leisure things happen. The old juices begin to crank up and the longing to hit that old rock one more time takes hold. Rules of common sense dictate that those foregone days are gone. So just as if little Johnny had just been scolded, he sulks around and starts to scheme. He sees the girls out enjoying the game of "softball" and then just like Ford Motor Co.a light comes on and "he has an idea." The girls have a softball league and by gump, every Church in town has a softball team. Why not ? Heck yes, there are a good many of our old high school baseball players still here in town. 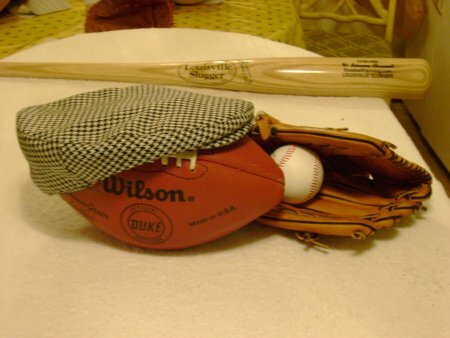 You betcha we will have an Old Timers Baseball league and we will show the young whipper snappers how the game is really played keeping intact the win-win of baseball. It's not baseball but it's ball playing and I'll betcha old timers baseball players and the "baseballs over the hill gang" could have a jam up team. We could challenge Happy Hollow, Clay, Chalkville and Center Point to put together a team too. Bet you a penny to a hole in a doughnut Argo, Roper Hill and Roebuck Plaza will want in our league. Hey ! By golly, an Old Timers Baseball "baseballs over the hill gang" softball league would really be a hoot. My old glove could use a replacement but I'm getting excited. This entire preamble was a lead in to my real story I wanted to bring to you. All around baseball fans and young players will truly enjoy watching and observing senior citizen softball playing leagues. The speed and dexterity of super athletes is not what you will observe and learn from these games. After all they are "baseballs over the hill gang" and playing Old Timers baseball. Many a good coach of high school and college level teams wishes all their players would go observe the past good athletes in action at Old Timers Baseball. What you will find is the expert execution of the fundamentals of the game. You will see in old timers baseball the seasoned older ball players moving in deliberate and precise control to make the play. The play will be effortless and smooth, no hurried frustration and making errors by too much haste. The play thinking for Old Timers Baseball takes place in the players head well before the ball comes their way. You see observing these past masters ply the trade is often better than the video you purchased. Observe the smooth effortless release of the ball it is as if it never reached his glove before he had released his throw. Young ball players, the lesson here is not how hard you can throw the ball it's how quick can you release the throw. Watching senior league sofball Old Tmers Baseball play is something to behold. The fielding player will, smooth as silk, gather the ball into his glove while simultaneously giving way and with glove and ball and releasing it quicker than a magicians hands. It's almost as if, when did he stop the ball? He didn't. He simply changed direction of the ball with his release toss. His partner does not have to catch a hard throw. He simply meets the ball while sliding or dragging a foot across the 2nd sack. This difference of meeting the ball and having to catch the ball is the key. Meeting the ball with glove and throwing hand in fluid motion, he releases his throw before you hear the hiccup. Coaches harp on this type of playing techniques till blue in the face. What technique? The technique used by Old Timers Baseball playing which almost reaches perfection in execution. 1. Give with the catch and quickly release the ball. 2. Team players know the essence of how to throw to a team mate a soft easy to handle toss ( whereby the receiving player simply redirects the ball quickly to another team mate). 3. Hard throws are not the answer, quick release is everything. 4. Just like handling a hot potatoe. Yes, "baseballs over-the-hill-gang" Old Timers Baseball will by observance, teach more fundamentals than a library full of books. "Baseballs over-the-hill-gang" are masters at the rudiments and the fundamenatals of winning play. The way they are able to so nimbly use footwork with no lost motion puts smooth rhythm to use and Fred Astaire's dance steps to shame. The biggest myth of most all throwing errors by outfielder ball playing is the idea that a ball should be thrown into the "next county" to get a runner out. Apparently ball players get the idea that knocking the barn door off its hinges with the throw is a macho thing. What will happen time and time again, by young players, is their throws whiz so far over their teammates heads it is silly. To my knowledge no ball player has ever played the game who stood 11 feet tall. It would be ten xxxxxxxxxx times better to throw the ball rolling on the ground than to throw the ball over your teammates head. This throwing like there is no tomorrow is particularly directed toward coaching of the outfielders throwing. But let's come back a little and have a catcher rethink how he prepares to throw. All about baseball by "baseballs over-the-hill-gang" is a study in perfection for catchers. How many times have you seen a catcher throw so hard his face mask wraps around his neck or bounds halfway to the dugout? The trick is not, to tell the crowd, "look how hard I can throw" but how quickly did he get rid of the ball? Now you might just challenge me on this issue of hard throwing. The controlled hard throw is a baseball scouts dream come true when he finds a kid with an arm like a rifle with all the tools of greatness. This baseballfarming and developing baseball players out there in the farm system of teams is what we want you to know all about baseball. No real danger that a baseball paid scout will try to sign any of our "baseballs over-the-hill-gang" to a long term deal. The point is the time used to release a throw is 10 times more essential than how hard it's thrown. The time spent watching and studying "baseballs over-the-hill-gang" at play is not for baseball fans only it is a great teaching performance. Ball players, young and old, will pick up invaluable knowledge of how plays should be executed simply by the watching Old Timers Baseball players in action and still reliving those days of playing joy. Playing baseball as a youngster or even at the snow capped prime of baseballs over-the-hill-gang, just the act of playing the game, has made you a baseball winner. All baseball and the thrill, excitement and joy of hitting, catching, fielding and throwing with the best of the best teammates in the game is one of life's treasures. Do not short change my Old Timers Baseball or "baseballs over the hill gang." Their entire being is in the game. Their memories can carry you back to such games as the one in Milwaukee County Stadium and a Game For The Ages back on May 26,1959. Another standard slick as a button twists some of the old timers will add to their pitching skills is the use of throwing a knuckle ball. The knuckle ball pitch is an almost effortless toss. Check out some more information on this uniquely thrown Baseballs Knuckleball Pitch. Another thing amazing about Old Timers Baseball over the hill gang is their ability to find and do business with good baseball partners and business partners that have quality goods. Do you know what a baseball blooper is? Click here Baseball Bloopers and you will be brought right up to speed. Would you believe Tom Foolery could win a baseball game? Come on along to Baseball Coaching Tricks and then you will know how Tom Foolery wins baseball games. 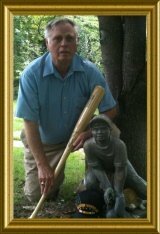 Follow Old Timers Baseball or Baseballs Over The Hill Gang visiting with us at Baseball Memories learning about baseball. There is a proven and professional leader in the web hosting business I would be remiss if I did not heartily recommend and introduce you to Sitesell and Site Build It. It may even be better than Old Timers Baseball Check it out. Get Business Smarter is a way all small business owners need to think. The world due to the internet is at our doorstep or for a small business it is at your front door. To get internet savvy is no longer pie in the sky nor is it rocket science for those persons into the web and knowing how to navigate. Columbus sure took a large gamble when he set sail with the Nina, the Pinta and the Santa Maria to explore for the new world. He could have been thinking like Marco Polo afraid he might sail right off the edge of the earth. Both of these brave souls took the bull by the horns and dared to conquer new horizons and the world has grown leaps and bounds ever since. Would you believe they had the foresight to know that if they only dared to explore, one day the world would have a world wide web, cyberspace communications commerce zipping over the internet like crazed honey bees working a hive? Never in a 100 years or maybe 500 years and counting would it have been in the most wildest of their dreams. So you own a small business all of which you are very proud but you should remember he who hesitates is lost. This axiom still holds true in the business world of today. To expand and grow your business you need to get modern and think internet. Never fret for the woods are full of expertise (some good some bad) on how to harness this world of the internet and help you grow your business. There is no need to be frozen in place with fright because you personally do not have the nimble acute technical wizardry to make the thing fly. Let a trained and well schooled proven and trusted world class business helping internet builders do the task for you. Grow your business get business smarter ask for and get true excellent and affordable professional help. Click here and check out how easy to get started. You will be surprised and amazed and you will not be left standing at the station when the train leaves. You with your baggage and ticket will be aboard the Unlimited carrying you to further dreams and better riches. How is it one old saying goes, 'He who hesitates is lost.' Be brave like Colombus like him you just may discover a whole New World a world in which business growth is like a fast growing tree spreading and branching and stioll growing stronger. Hesitate not , take that sure step and leap of faith, and never look back on those slow lack luster days of hum drum days struggling to grow your business. Get business smarter do not let the opportunity you have available slip away from you, if you own a business, without expanding the scope and volume of your business. Use the internet to take you to that next level. Take the Click here and increase the Ka-Ching. Affordable professional Site Builders for your Business. You may think you have done it all. The best is yet to come. Would you like to share your memories of that first Ford Coupe you owned putting a tigers tail streaming from the trunk or antenna? Have you ever restored an old vintage auto like some of the old timers baseball players? You could share that experience with all of us. I've been talking about baseballfarming ever since being introduced to Solo Build It!. Go Shopping Baseballfarming Save Money.